Applications do not have to be used by themselves. 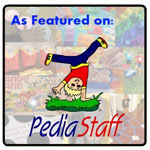 They can be used to research information for a project, to type answers from the board, as visual cues, or for communicating with others. 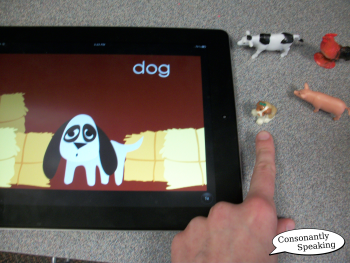 Applications can also be used with physical objects in many different ways. 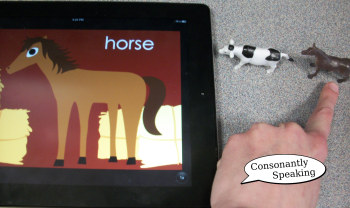 In this post, I will highlight a few different applications and how to use them with physical objects to help students learn in a multi-sensory way! 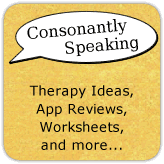 I normally work with students in my K-12 public school, however, I was asked to help out with a two-year old with a very limited vocabulary recently who needed speech-language therapy. I brought over my iPad with the Peekaboo Barn application, a small red toy farm, and small toy farm animal plastic figurines. This child was working on choosing an item out of a field of three. 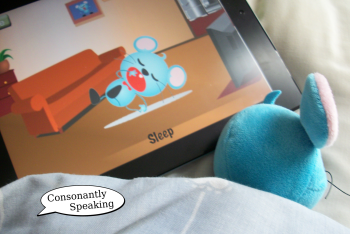 So, I set up my iPad with Peekaboo Barn and let him hear each animal. The doors to the barn are shut as an animal sound is played. First, I paired the correct animal and stated its name to match the sound coming from the barn in the application. Afterwards, we played through the application again, and I asked him which animal was making the sound. He was given three different animal figurines to choose from and had to pick up the one that matched the sound. Then, I would have him state an approximation of the name of the animal. You can change the amount of items to select a correct answer from. 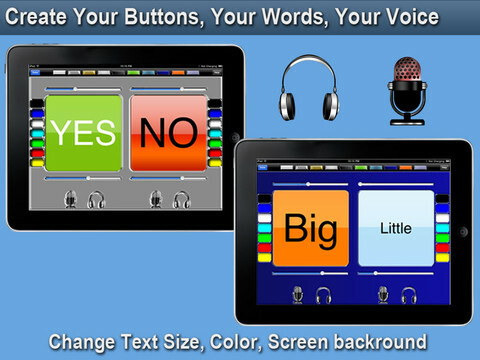 Your client may use an application such as Choiceworks, Yes/No, SLP Words, or another AAC application to request items. Make sure you program choices into the application to match the choices the student has for a reward, snack, object, etc. into the application. Choose the field/number of buttons to match the amount of choices based on the students' developmental level and choices available. Then, place the rewards/snacks/objects/otherwise nearby and have the client request an object by pressing the button to match what he or she wants. Some applications allow voice output, so make sure that if you want to use this feature, the audio is available (even if you have to record it) to match the image/text on the button of what is to be said. Then, once the client requests an object, give them the object requested. 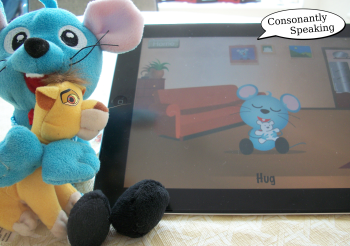 For example, you can program two buttons on the SLP Words application for a student to choose between two items by placing text/recording audio to match the choices given. 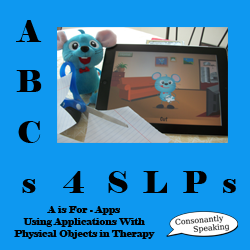 How do you use applications along with physical items in your therapy?